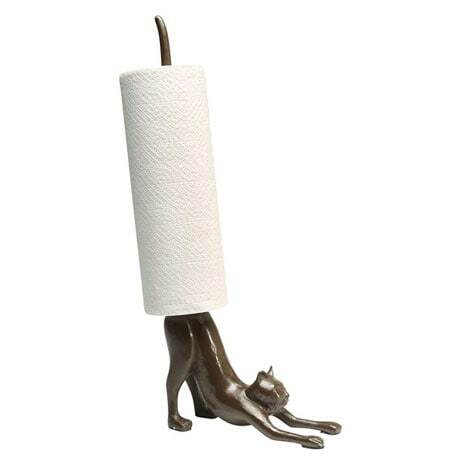 Made of cast iron with a weathered bronze finish, this helpful cat holds paper towels or toilet tissue rolls. 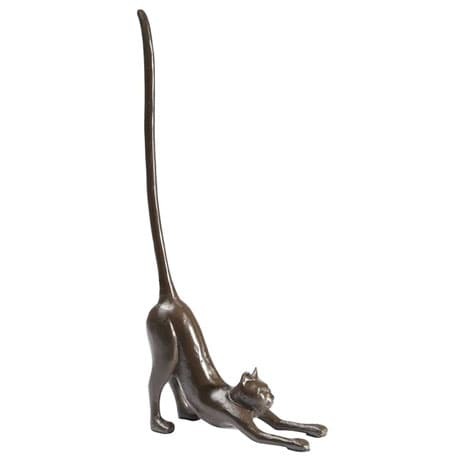 Decorative, functional, and fun. 16".